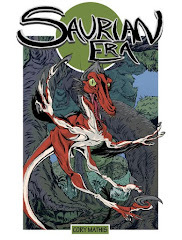 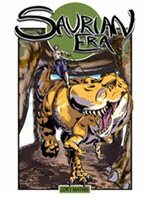 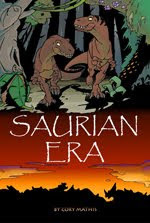 Saurian Era: The Comics Are Up! Its been almost two years since these were completed. The first being an answer to my original animation, the second was made in a cascade of enthusiasm, with not much more thought then 'some dude getting into a sweet fight with a Raptor' - Yeah I know, huge bounds from the first one of a dude beating up a couple of dinosaurs. 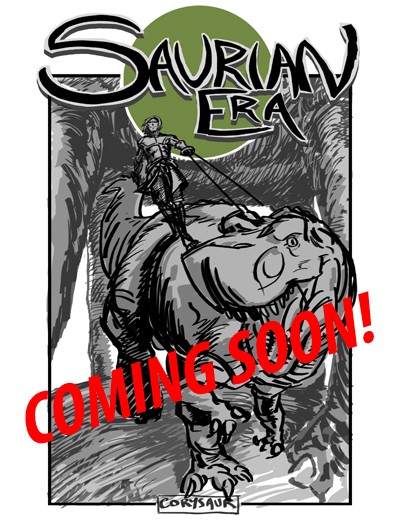 The next comic will bring the two stories together, introduce new characters (and dinosaurs!) 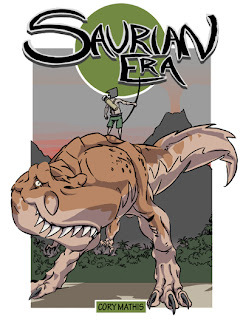 and will be unfolding around the event of a huge yearly dinosaur race. 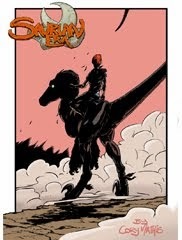 I think I can safely say my inspiration for it was movies like Speedracer and the animated movie Redline.